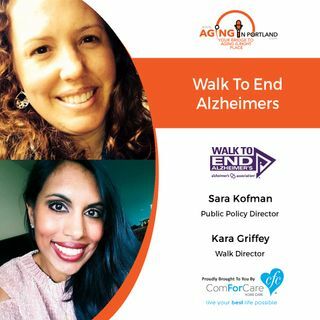 Sara Kofman, Public Policy Director for the Alzheimer's Association Oregon and SW Washington shares the latest research from the Alzheimer's Association Conference. Then Kara Griffey, Walk Director, will explain the various walks around Oregon and SW Washington. The big one in Portland is scheduled for August 26th. Come out to support the Walk to End Alzheimer's!